People try and get all kinds of vehicles on the Show or Display list. In this case, they seemed to try and get the 1998-2009 Chevrolet Jimny, or the Suzuki Jimny on the list of approved vehicles. Someone may have only asked for one year, but its possible, the NHTSA decided to cover them all at once with one denial. 1) Less than 500 made? Nothing over the top. Nothing special. This one was denied, as could be expected. 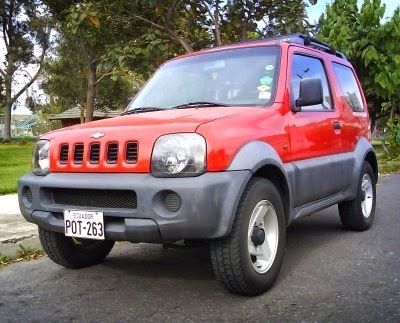 The Jimny replaced the popular Sierra/Samurai model in most markets (European introduction was in Paris, 1998), though its predecessor remains in limited production in some places. For the domestic market, a 660 cc K6A-engined version suited for the Kei Jidosha class answers for most Jimny sales. The larger 1.3-litre Jimny was originally equipped with the G13BB engine also used in the JB32. The 80 hp (60 kW) G13BB engine was replaced in Japan with the January 2000 introduction of the newly designed VVT16-valve M-engine, but soldiered on in Spanish-built softtops until 2005. For the continental European market, where the diesel cars hold a significant market share, in 2004 the turbodiesel Jimny JB53 was introduced, built by Santana and using a Renault-built DDiS 1,461 cc K9K engine. Power was originally 65 hp (48 kW) but was increased to 86 hp (64 kW) in 2005, the same as in gasoline versions. It was discontinued in 2011, and was never available in Britain and Ireland. Jimny features a part-time 4WD system. On its dashboard, there are three buttons - 2WD, 4WD and 4WD-L. The 2WD is default when it runs as RWD. When 4WD is pressed, the front wheels are also engaged as drive with high gears. The 4WD-L engages front wheels as well as low ratio gears. Being a part-time 4WD, there is no center differential or viscous coupling. The Jimny should not be driven on normal road surface in 4WD mode. In Japan the "Sierra" name was revived in January 2002, when 1.3 liter Jimnys began to be sold as the "Jimny Sierra" rather than as the "Jimny Wide". 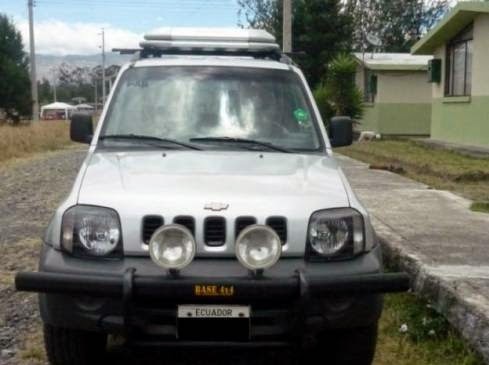 Since 1999, GM Colmotores have been assembling the 1.3-litre, 79 hp (59 kW) JB33 with the name "Chevrolet Jimny" in Bogotá, Colombia.